Author Patrick Carman has collected dozens of awards for his best-selling children's books. With Saving Mister Nibbles! he begins a delightful new series starring a resourceful squirrel and his furry friends. From his treehouse in a city park, Elliot takes pride in solving problems. 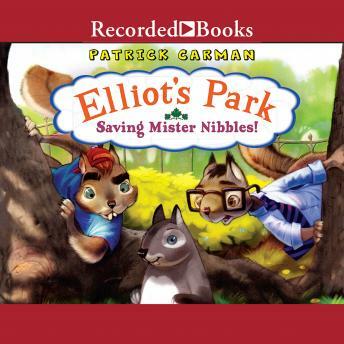 But when a squirrel named Mister Nibbles is given to a human as a birthday gift and taken to a house near the park, Elliot isn't sure what to do. Everyone knows squirrels don't belong indoors, but how can Elliot and his friends rescue the trapped rodent?